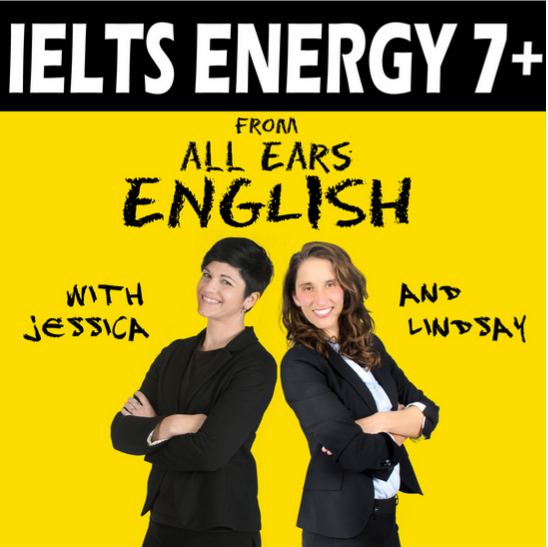 Get our IELTS test podcast called IELTS Energy! You’ll get 4 episodes per week. Listen to Lindsay and Jessica discuss exam strategy, study plans, tips, and tricks. Hear advice from guests who know about IELTS. Have fun, get motivated, and join the IELTS Energy community! Subscribe now!